Volunteer Toronto raising money with a dance marathon. 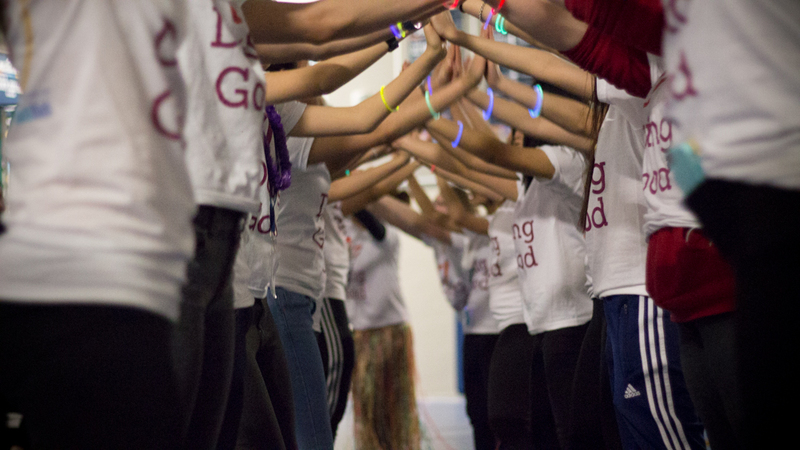 Over 60 high school students teamed up for an epic dance marathon in support ofSickKids Hospital. They danced their way to raise over $2,700! Anisa, a brave 11 year old patient at the hospital and a Children’s Miracle Champion, joined the students to share her story and the important work SickKids is doing, and danced with the students! 100 students at the International School Villa Amalienhof participated in various activities on Good Deeds Day for their community. Each class organized their own special project such as planting flowers around the school, learning about the importance of recycling and the correct use of color coded recycling bins, designing and creating their own insect hotels to attract different kinds of insects, reading stories about doing good deeds, collecting garbage around the premises, helping younger preschoolers by teaching them math, drawing and playing games with them, and much more! 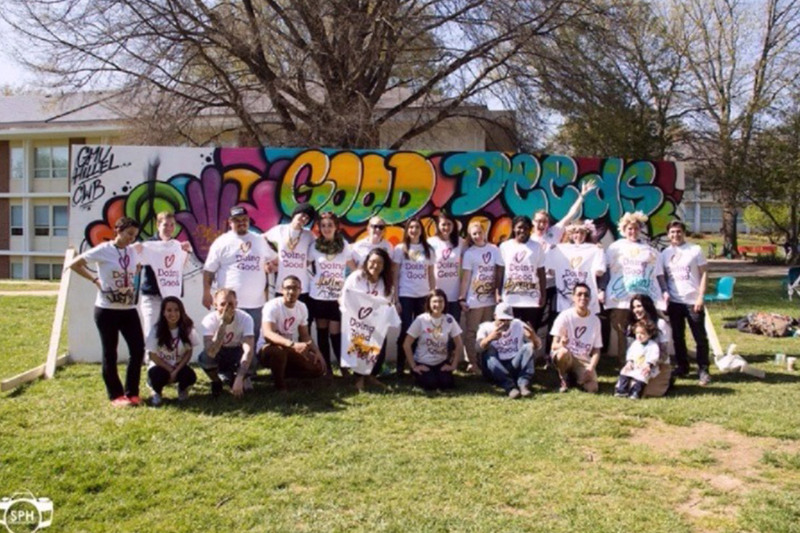 Students from George Mason University posing next to their Good Deeds Day mural. 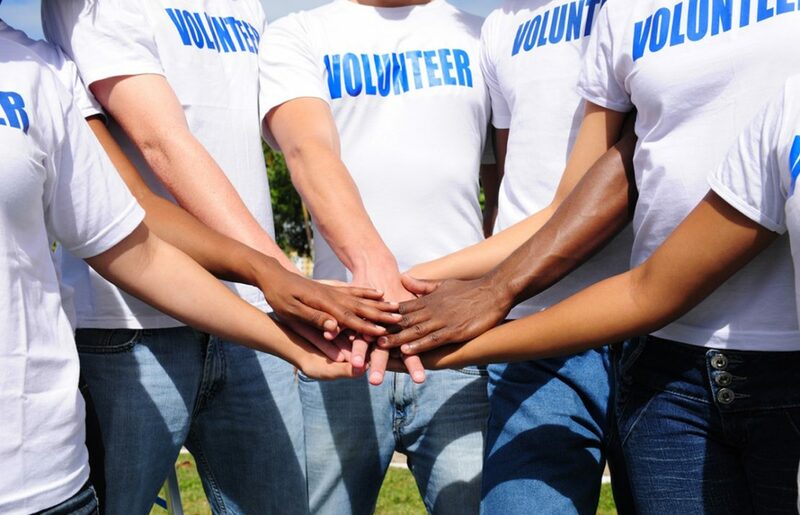 150 volunteers organized Good Deeds Day events and projects for 1,000 participants and 25 for a Doing Good Fair that empowered student organizations, university departments, community organizations, and individuals to share their causes of choice with a wider audience. Campus organizations led projects such as Alpha Epsilon Pi who organized a Gift of Life bone marrow registry drive, and the students educated their peers regarding the importance of being an organ donor, fraternities and sororities talked about their organizations’ philanthropies to educate other students about their causes of choice, and individual volunteers helped by encouraging students to write positive messages on the sidewalk with chalk, and gave out stickers to brighten their day. Students also planted and prepared two campus greenhouses, and welcomed artists to paint a mural in honor of Good Deeds Day! 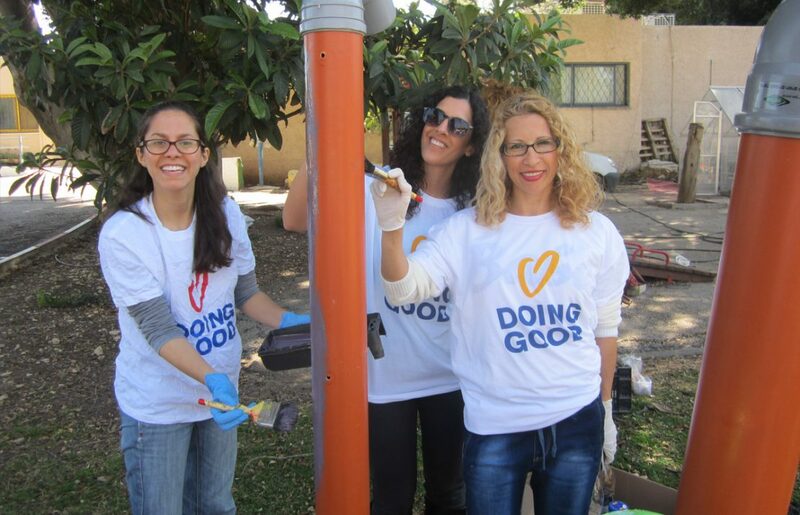 Hillel students beautifying a park. 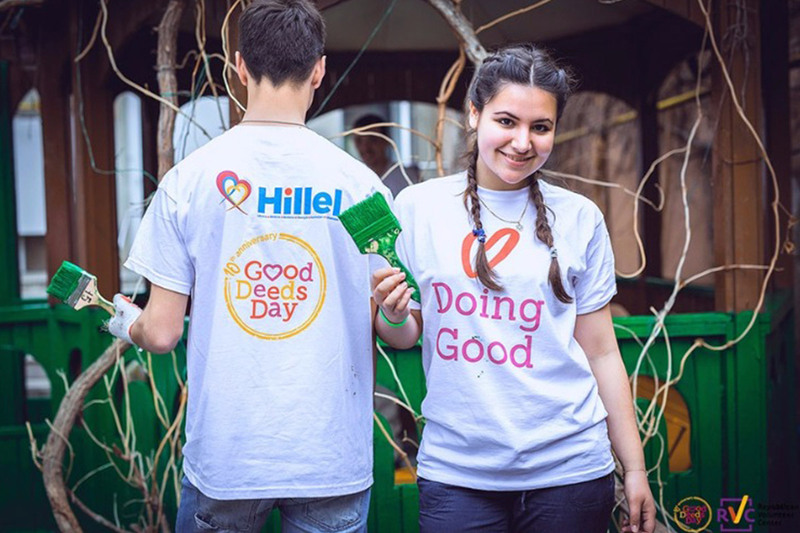 Hillel, an organization that engages Jewish students in religious, cultural, artistic, and community-service activities, organized Good Deeds Day projects at 80 global centers. Some of their amazing projects include beautifying gardens, spending time with elderly people in old age homes, beach cleaning, donating clothes and items to the homeless, making cards for sick children, and much more! High School students in IES León Felipe created paper windmills in honor of Miguel de Cervantes’ book, Don Quixote. The character, Don Quixote, has been interpreted as a symbol of goodness, enthusiasm and effort to help people. The students chose their favorite quotes from the book and wrote them on their windmills to share with other students and school staff.